I finished reading the Daily 5, and now I’m reading The CAFE book. CHAPTER 1 is and introduction focusing on how they developed their system and the research that they used. What I liked best was they were upfront that teachers are going to have to adapt things to fit the requirements from principals, what the students need, and the teachers own style. People who know me know I consider “You must follow my directions exactly every single time” to be nothing more than CYA statements by people hustling frauds on schools giving themselves a ready made escape hatch that blames the teacher. That way when miracles don’t happen they can blame the teachers. Gail Boushey and Joan Moser do the opposite they say take what we found and run with it make it fit around your classroom. Chapter 2 is about forms/ record keepingI like the record keeping method they have developed. I will be converting part of it to forms I can keep on google docs and/Evernote because that is easier on my dygraphic brain. Also I like the idea of having written notes with audio/video recordings on Evernote. Chapter 3 is step by step how to use introduce CAFE during the first days of school. It gives you plenty of room to adapt, allows integration with other typical first week of school activities. I am going to commit haressy here. I am not a big fan of cute decorations or multitudes of anchor charts. I walk into some beautifully decorated rooms and feel like I’m trailing behind the Tartis as it hurls through time and space. How do kids with dyslexia, ADHD, and/or sensor integration problems cope with being in those explosions of color all day long. In cintrasr The CAFE bulletin board is simple, clean looking and the kids,and teacher will be using it regularly. The one thing I will have to change is the cards with strategies on them. I will type these up ahead of time, because I avoid my dysgrapic hand writing being posted at all cost. CAFE Book, Book Study Chapters 1 -3 by http://wp.me/p2lyr-ef is licensed under a Creative Commons Attribution-NonCommercial-ShareAlike 3.0 Unported License. Based on a work at wp.me. I really like this system it is practical and not about cute little centers. The idea of breaking whole group teaching into smaller parts will help me stay focused and not go off on my GT tangents. The kids get large blocks of uninterrupted reading time. I recommend this book for all elementary teachers. There are some modifications that would have to be made for the intermediate grades – but that will result in longer periods of reading. Also the techniques used for introducing Daily 5 would also work great with literature circles. I wrote a set of guided reading questions for Dragons Don’t Cook Pizza. The questions are shared on Google Docs. 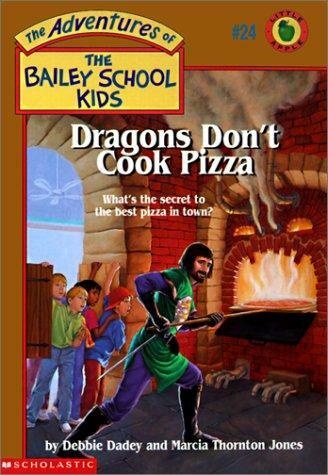 Questions for Dragons Don’t Cook Pizza by Kimberly Herbert is licensed under a Creative Commons Attribution-NonCommercial-ShareAlike 3.0 Unported License. I think Wikipedia should not be a major source in a student’s work, because it’s not a primary source. Like any encyclopedia it is a good place to get background information. Some articles have extensive citation and those citations can help students find good primary material for reports. Fifth grade science teacher and I plan on setting up a science wiki for the fifth graders this year. I see no problem with having a login system that tracks changes and do not understand why purists would have a problem with it. Wikipedia after all track its changes and who has made them. We have consequences in place already for students who choose to vandalize another person’s work on or off line. Because our expectations are firmly in place I predict will have very little problems of the sort. Each class a students will be adding information to articles about topics mastered in science. They’ll also write a lab reports including both pictures and video of actual experiments. Science teacher will add review questions for tests, and students will add their answers for others to use. I’m also hoping that that fourth grade and maybe even third grade science teachers will be willing to do a similar project. Then each year the wiki to move up with the students. I’m not share if we will use the wiki in Moodle or if we will use www.wikispaces.com. I need to talk to the people in tech training about which would be better for a multiyear subject wiki. 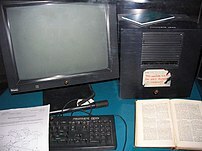 I would love set up a curriculum wiki for my school. Getting teachers to communicate about what our students have difficulty with is an ongoing problem. I think because the teachers see it as a criticism of them, rather than an offer to help. Banning Wikipedia at school: good idea or missed opportunity? Tim Berners-Lee envisioned the Internet as a collaborative medium where we can all meet, read, and write. At first that was difficult because people had to know the programming language HTML. But as applications were developed that enabled people to publish without programming knowledge the medium expanded. In 2004 Howard Dean caused extraordinary changes to the face of politics with his Blog for America. At the end of the 2004 election all the candidates had a web presence. Today during the 2008 election Senator Obama, the presumptive Democratic nominee, not only has an extensive web site, his campaign also participates in social networks such as twitter. The presumptive Republican nominee, Senator McCain, has considerably less presence on the Internet. He is even admitted to not knowing how to work the computer. During tsunami of 2004, and Katrina and Rita hurricanes of 2005 blogs including digital photographs provided a raw look at what was happening not filtered by the media or government censors. Bloggers have also corrected the National Media. For example on the TV shows 60 Minutes the Dan Rather showed copies of President George W. Bush military records. Bloggers quickly pointed out that the records were forgeries. CBS had to issue a retraction, and six months later Dan Rather retired. We talk a lot about authentic audiences for students’ writing. The web provides an authentic audience. Massive filtering is sheltering students from the web is not going to protect them in the long run. Students need to be taught how to protect themselves by using proper search terms, looking information in searches before clicking, looking at the authorship and deciding how much credibility to give the author. This argument reminds me of the peanut ban argument. Some people think that if a child is allergic to peanuts the best way to protect them is to never allow anyone to have peanuts around them ever. But what happens when the child goes away to university or their first job in suddenly people around them are eating peanuts. This person does not know how to protect him/herself, instead s/he may have and entitled attitude that says eliminate all peanuts around me. My parents took a totally different approach. The first word I was formally taught to read was peanuts. I was taught to read every label and have an adult double check the label when I was still an elementary school. I was taught to politely declining any unsafe food and not give in to pressure about eating it. I was taught to politely inform people that I was deathly allergic to peanuts and please be careful not to touch me after eating them. In places where peanuts are expected like football stadiums and airplanes, I always wear close toed shoes, long pants, and a very lightweight over sized wind breaker. From a very young age I was taught how to give my medical history. By the time I was seven or eight I can rattle whole thing off to an ER Doc. He was completely and totally blown way. When I went away to university, I was prepared to deal with all aspects of my health. Good thing too –because this was during that no cholesterol up before the no fat craze. Peanut oil was the thing to use in restaurants. If we wrap kids in cotton wool and pretend there’s nothing bad out there, at some point there going to be dropped into the middle of an unfiltered life and a be completely unprepared to deal with it. As far as permission I’m glad my district has decided the standard media release form can be used for Internet publishing. Now decide to figure out how to get the information from the front office. 3. When we are stressed, we react poorly to more stress even little things. 4. We need to manage our stress – but no practical methods for doing this. Honestly – this whole book/program is common sense with branding – like the program before and the program we will adopt in a year or so when this doesn’t work. This along with convocation is one way our district does waste money. Larry gets a free day off from school, when he is suspended. 2) Why must a teacher embody these rules if they expect to “mean business?” • No means no. • I am not going to stand here and listen to your yammering. If an adult changes their mind after being pestered by a student for a period of time, the student learns if I pester I get my way. Either you are consistent or you are inconsistent. Poor parents build brat behavior by either giving in and being inconsistent with discipline or actively encouraging their children to behave poorly by consistently blaming the people in authority for their child’s poor behavior.